Last Friday, Alvin and I were on our way to the mall to check out the Zara sale when I suddenly felt really hungry. We were thinking to eat somewhere cheap first (READ: Total bill must not exceed Php300), then proceed to shop. 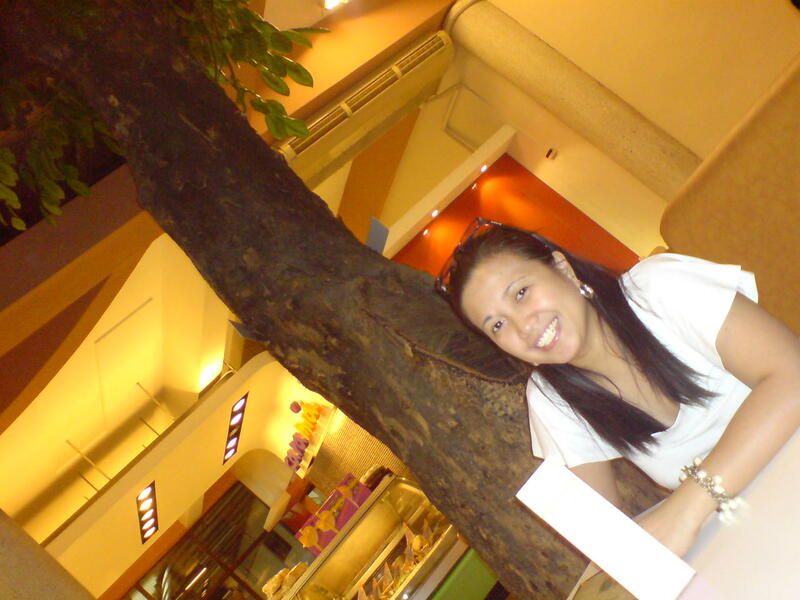 On our way, after passing by Don Bosco School in Pasong Tamo, we came across Amici restaurant. I told Alvin that I have always wanted to try to eat there but never had a chance because the restaurant has no parking space. You have to park inside the Don Bosco Church compound or inside Walter Mart then walk to the restaurant. Thank God for my hubby who suggested we try eating at Amici since we are already in the area. We parked inside the church’s compound. 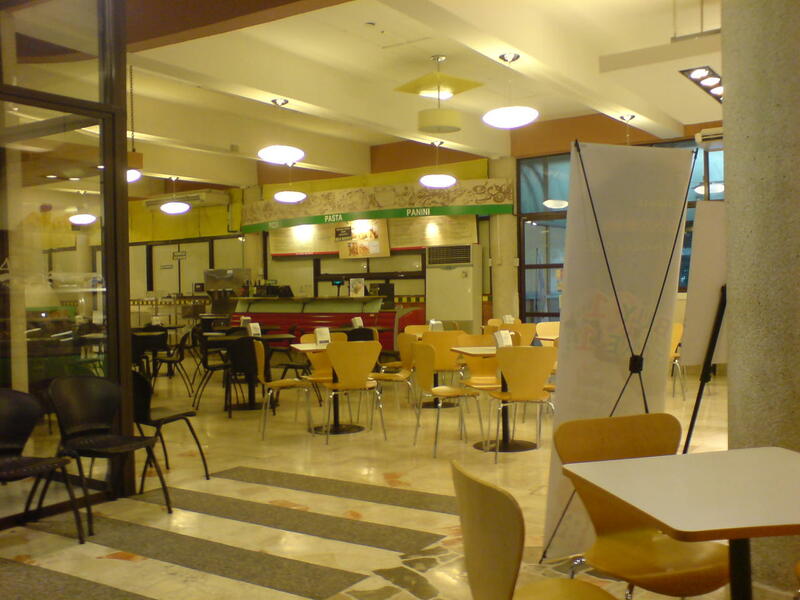 Amici serves salads, apetizers, pizza and various pastas. And the restaurant pala is a self service resto. You pay upon order then the kind Amici people will bring your order to your table. I’ll photo-narrate our experience ayt? This is the Amici part of the restaurant. 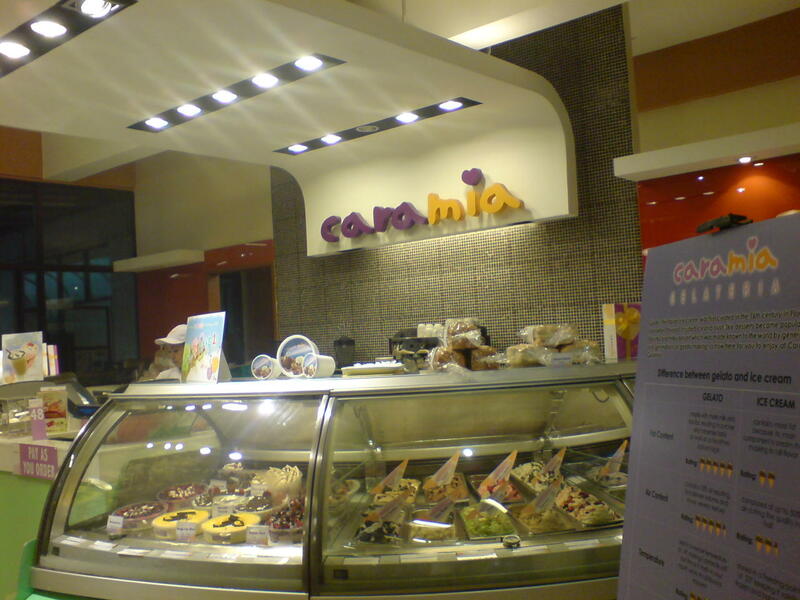 The people at the counter were on break so we were led to the counter Caramia which sells the desserts and delicious gelatto ice cream. This is the Caramia counter. Notice the cakes and ice cream. My mouth was practically watering and I wanted to order everything coz they all looked delish!! But obviously I can’t so i ordered this gelatto cake. It’s called Spumoni Surprise and it costs Php 95 per slice. 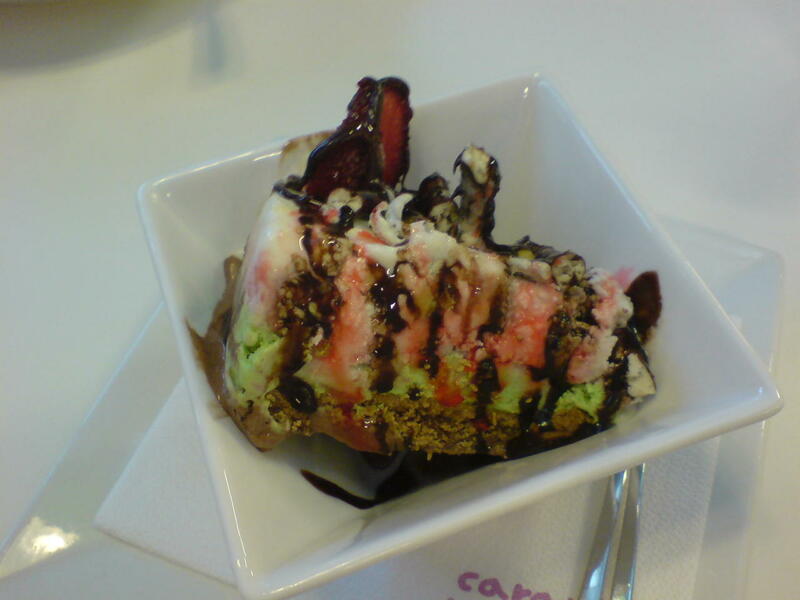 It has a layers of vanilla, strawberry and green tea gelatto ice cream on top of a chewy crust with strawberries and chocolate covered cookie sticks. It was soooo delicious!! Alvin, who doesn’t eat desserts loved it too!! Notice the bowl and saucer? It’s so like the ones we bought at Dapitan Arcade! 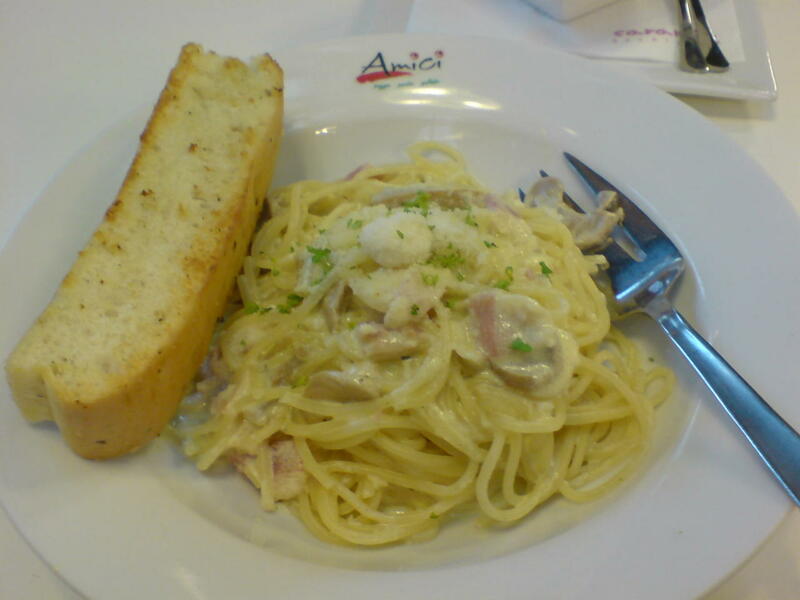 Alvin ordered Spaghetti ala Carbonara, Php 185. He didn’t see the Lasagna kasi so he ordered this. I tasted it and pwede na! Lumalaban sa Carbonara ko! (So delicious, it can rival my Carbonara lol!). The pasta noodles were al dente and the sauce was just right. 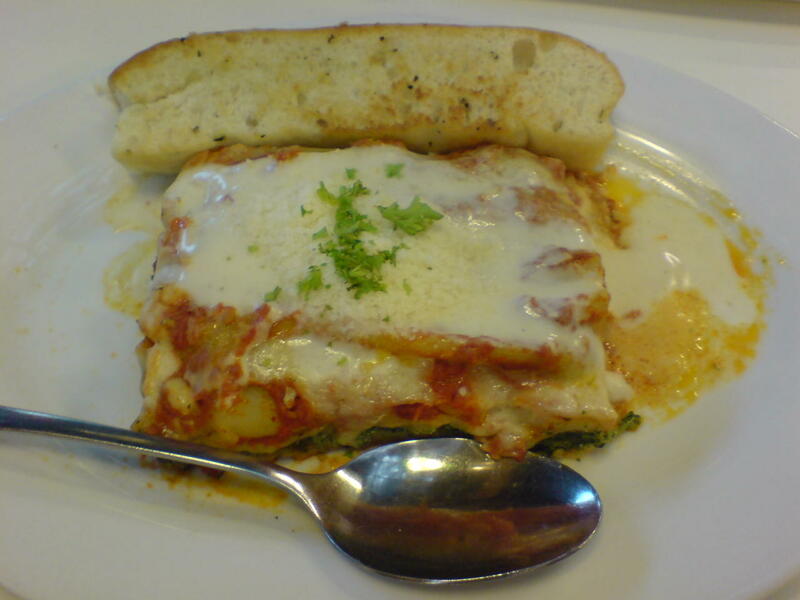 I ordered Cannelloni agli spinaci, Php 220. Actually, Alvin ordered this first and I stole it from him. Im the kind of person who never orders right. Seriously. Anyways, this dish did not disappoint either. It was so good and there was an abundance of spinach and cheese. It’s like lasagna with lots and lots of delicious spinach. Mind you, I dont eat veggies especially spinach but i loved this dish! This is our view of the Amici side. 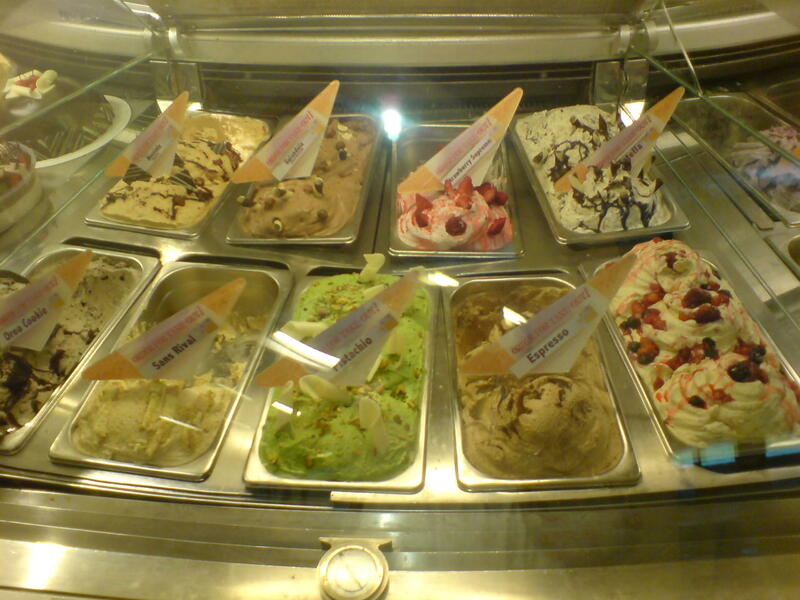 Ohhhh… I love ice cream and I love gelatto more!! They all look delicious!! 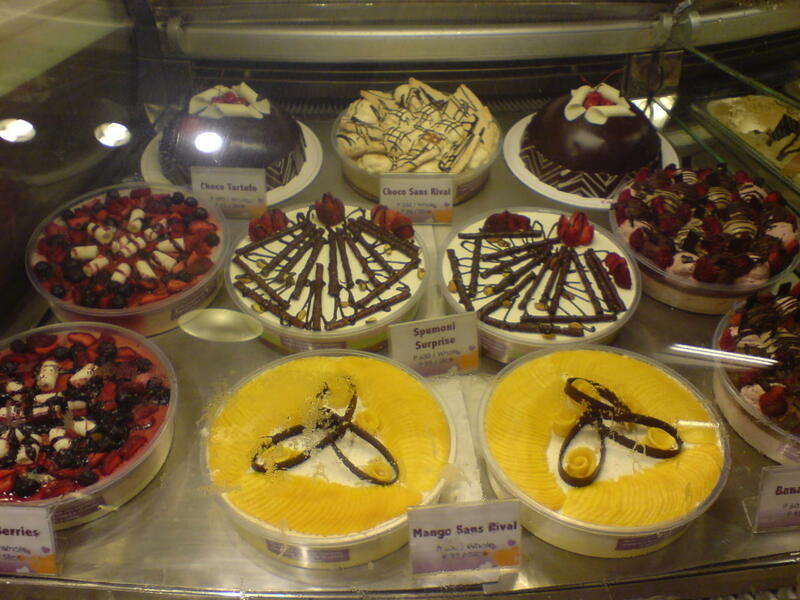 These are the gelatto cakes!! I want to buy all of them and eat them at home!!! Grrr…. The orders are i think good for two. I wasn’t able to finish my pasta although Alvin finished his (and the rest of mine). I suggest when you eat here, you order a pasta dish then order also a pizza so that you wont be umay. What is umay in English nga again? —> Too much? hahaha! 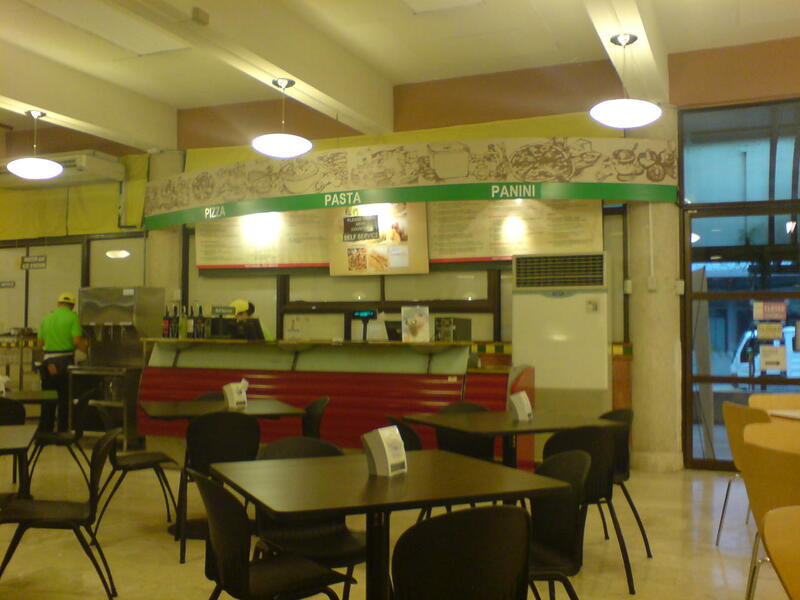 Amici Restaurant is located at Pasay Road beside the Don Bosco church in Makati City. i love their pizza and pasta.. but the panini i tried was just so-so… the pistachio gelato is yummy.